After Gov. Greg Abbott panned the Trump administration's $44 billion request to Congress for hurricane recovery, the White House quickly responded by calling on the state to pony up its own dollars. Texas Republicans on Friday panned the White House's latest disaster aid request, with Gov. Greg Abbott calling it "completely inadequate" for the state's needs in the wake of Hurricane Harvey. "What was offered up by Mick Mulvaney and [his Office of Management and Budget] is completely inadequate for the needs of the state of Texas and I believe does not live up to what the president wants to achieve," Abbott said at a Texas Capitol news conference called to unveil a $5 billion grant from the U.S. Department of Housing and Urban Development. "The president has told me privately what he's said publicly, and that is that he wants to be the builder president," Abbott added. "The president has said that he wants this to be the best recovery from a disaster ever." Despite Sanders’ remarks, Texas has already spent or incurred over $1 billion in expenses related to Harvey, according to the governor’s office. 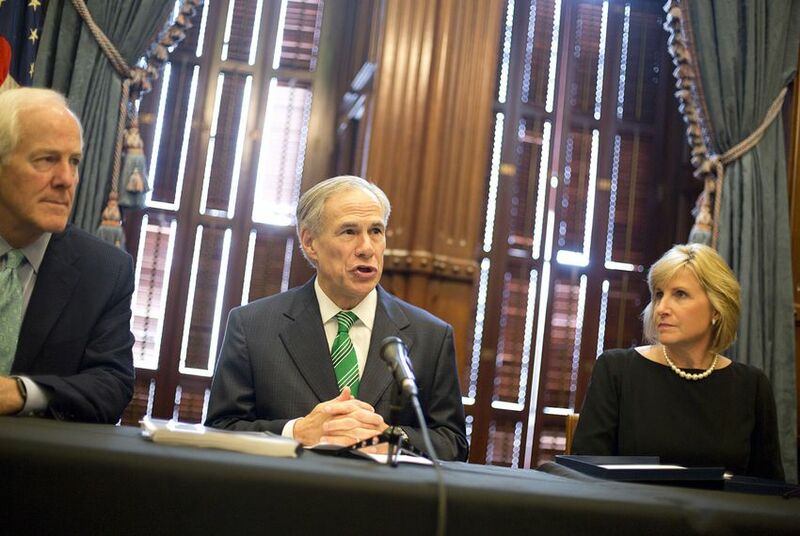 Abbott has expressed openness to using Texas' $10 billion savings account, known as the Rainy Day Fund, during the 2019 legislative session to backfill Harvey-related costs at the state level. At a news conference, Abbott said the $44 billion request is less than what was offered in the aftermath of Hurricane Sandy — which hit the East Coast in 2012 and was "half the storm of what Hurricane Harvey was." If Trump wants to see through the "biggest and best recovery ever," Abbott added, the effort is "going to necessitate both more funding but also better strategies." Abbott was joined at the news conference by U.S. Sen. John Cornyn, R-Texas, who also made clear he was less than pleased with the White House's latest disaster aid request. Asked whether he was ready to free up a top Office of Management and Budget nominee whose confirmation he has been blocking as leverage to secure more Harvey aid, he replied: "I'm not satisfied. We have to have further conversation." “We stand together opposed to this level of funding and will continue to fight to help Texas rebuild,” read the statement from U.S. Reps. Michael McCaul, Ted Poe, Pete Olson, Blake Farenthold, Randy Weber, Brian Babin and Kevin Brady. At the news conference, Pam Patenaude, deputy secretary for HUD, announced that the department will award Texas $5 billion for Harvey recovery. The money will be used to rebuild hard-hit areas throughout the state and will be overseen by Texas Land Commissioner George P. Bush. Apart from the new grant, Bush’s General Land Office is currently managing six other community development block grants that total about $4 billion. Bush said the preliminary plan of action for the $5 billion HUD grant is complete. As of now, the money is planned to go toward temporary housing and fixing damaged homes. “We are now tasked with the largest housing recovery in American history,” Bush said.